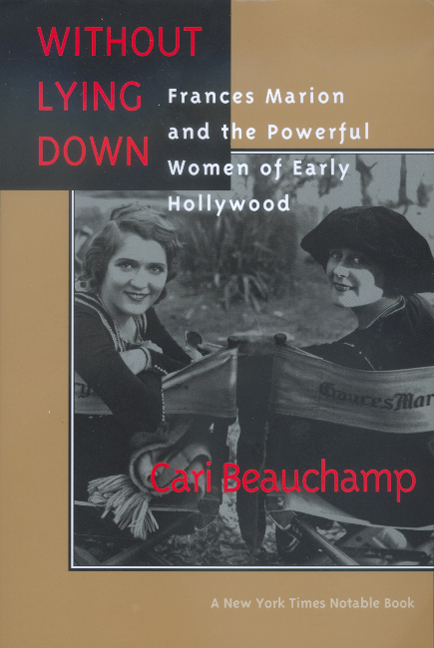 Cari Beauchamp masterfully combines biography with social and cultural history to examine the lives of Frances Marion and her many female colleagues who shaped filmmaking from 1912 through the 1940s. Frances Marion was Hollywood's highest paid screenwriter—male or female—or almost three decades, wrote almost 200 produced films and won Academy Awards for writing "The Big House" and "The Champ." Cari Beauchamp is the coauthor of Hollywood on the Riviera(1992).